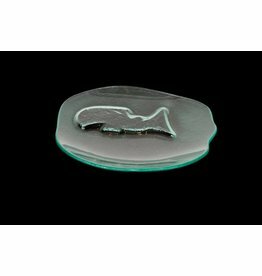 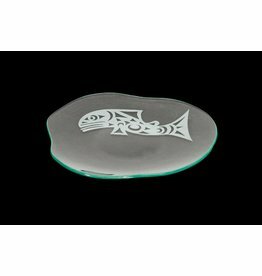 Salmon Plate - Slumped Glass by Wade Baker (Coast Salish / Kwagiulth). 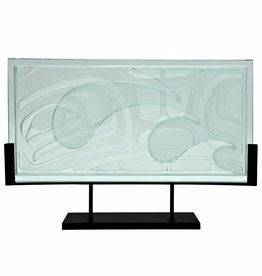 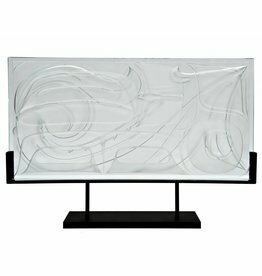 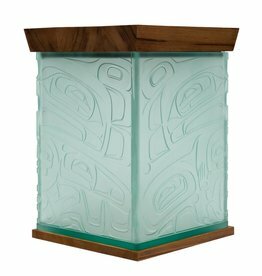 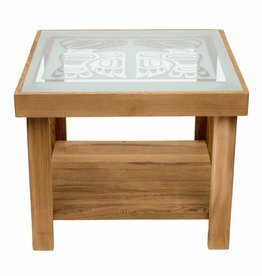 Glass Table with Sandblasted Raven Design by Alano Edzerza (Tahltan). 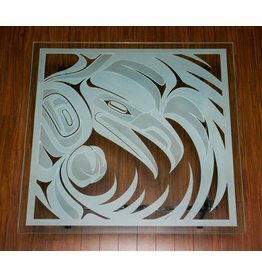 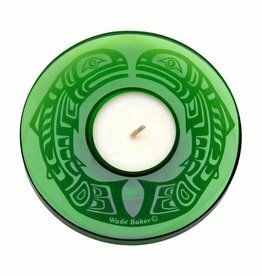 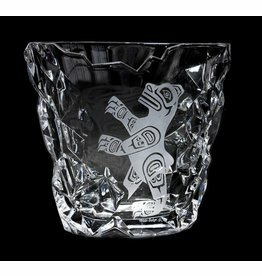 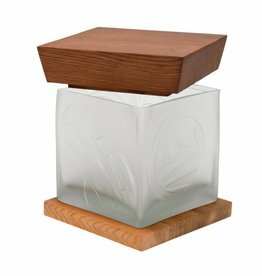 Eagle Bentbox in Glass by Alano Edzerza (Tahltan). 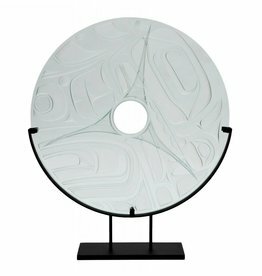 Salmon Platter by Wade Baker (Coast Salish / Kwagiulth).